Hosted by Wexner Center for the Arts - This event is FREE to the public! Learn more about Carmen Herrera: Lines of Sight from Dana Miller, the acclaimed exhibition’s curator, and New York–based artist Tony Bechara, a longtime friend of Herrera’s. Join us in Mershon Auditorium Lobby at 4:30 PM for a reception with our campus and community partners. Dana Miller is the curator of Carmen Herrera: Lines of Sight, originally on view at the Whitney Museum of American Art in New York, and the author and editor of the exhibition’s accompanying catalogue. Until her relocation to Seattle in July 2016, she was the inaugural Richard DeMartini Family Curator and Director of the Collection at the Whitney, where she worked for two decades. During that time, she curated and cocurated a number of important exhibitions, including Human Interest: Portraits from the Whitney’s Collection, currently on view at the museum, and America Is Hard to See, the inaugural exhibition for the Whitney’s new building. Tony Bechara (b. San Juan, Puerto Rico), a painter and printmaker, has participated in many group exhibitions, including the Whitney Biennial, and has been the subject of major solo exhibitions at the Alternative Museum, Museo de Arte de Puerto Rico, and El Museo del Barrio in New York, as well as at galleries internationally. 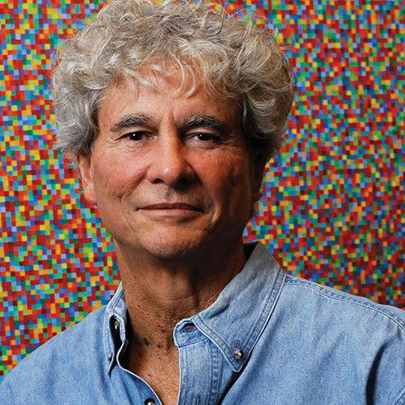 Bechara is currently chairman emeritus of El Museo del Barrio and serves on the boards of Studio in a School, New York, and Brooklyn Academy of Music.